This exhibition celebrates the Morgan's Man Booker Prize Collection, which was acquired in 2010 and is the largest American collection devoted to the prize. It includes more than four thousand first editions, proofs, manuscripts, letters, and ephemeral material related to the publication, promotion, and recognition of more than four decades of acclaimed works of fiction in English. Literary prizes provoke debate. In addition to elevating an author's standing, they promote reading and increase the sale of books. They also draw attention to the forms of writing they assess and raise important questions about the critical, popular, and economic forces that shape cultural value and confer prestige. Bookermania explores these effects through the history of England's Man Booker Prize, which has been given annually since 1969 to the best novel in English written by a citizen of the Commonwealth of Nations, the Republic of Ireland, or Zimbabwe. The Man Booker Prize, one of the world's most coveted literary awards, turned Possession into an instant best seller, propelled The English Patient and Life of Pi onto the screen, and made a star of an advertising copywriter named Salman Rushdie. The prize was created to change the literary climate of England and to jolt the British book trade out of its lingering postwar recession. In little more than a decade, it accomplished both. Each fall the prize's changing roster of writers, judges, and scandals draws the attention of book buyers and the media. Favorites are put forth, critics weigh in, bets are placed, and the ceremony is televised. 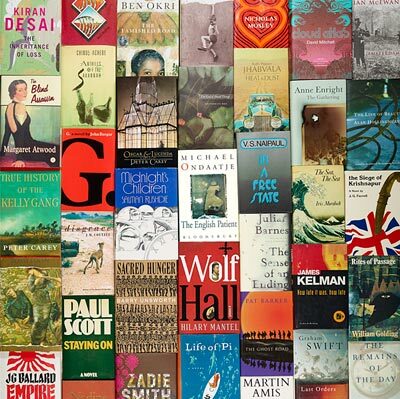 Throughout its forty-five years, it has celebrated novels from England, Ireland, Scotland, India, Australia, Canada, South Africa, New Zealand, and Nigeria. Its incomparable status and global reach help to shape a contemporary canon that reflects the expanded borders of the English-language novel today. Never without controversy or a chorus of detractors, the Booker, as it’s familiarly called, has captivated the British imagination and earned a place in that nation's colorful history of promoting the novel. The exhibition traces the illustrious history of the prize in a chronological arrangement of every winner and select nominees from 1969 to 2012. Objects on display, unique to the Morgan's collection, include annotated judges' copies, inscribed first editions and proofs, correspondence from writers and judges, promotional material, cartoons, and dust-jacket designs. What is your choice for the best of the Man Booker Prize? Tweet your favorite to @morganlibrary #bookerfave, or send us a message on Facebook. For a complete list of winners and finalists, visit www.themanbookerprize.com/timeline. Bookermania: 45 Years of the Man Booker Prize is sponsored by Man. Additional support is provided by the Ricciardi Family Exhibition Fund and by The Booker Prize Foundation. The Man Booker Prize Collection. Photography by Graham S. Haber, 2013.